Hand crafted & custom made silver name necklace. 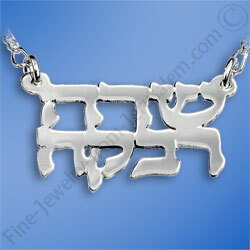 The necklace bears two Hebrew names. You choose: any 2 names.